Shrubs - Plain & Simple. 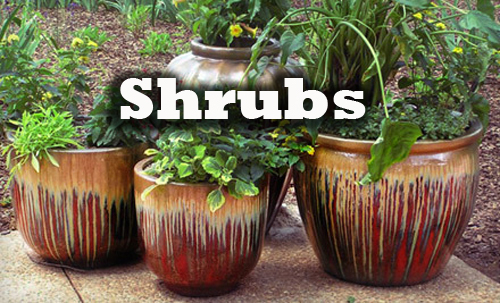 Versatile and varied, tubbed shrubs enhance any garden planter. Many offer a different look for each season, brightening the patio area with changing leaf color, showy flowers and colorful berries. Others, by virtue of striking shape or dramatic foliage look like beautiful sculptures. Even ordinary shrubs when planted in beautiful garden containers can really shine and look quite exciting. All these shrubs provide a rich, textured background for blooming annuals and perennials. 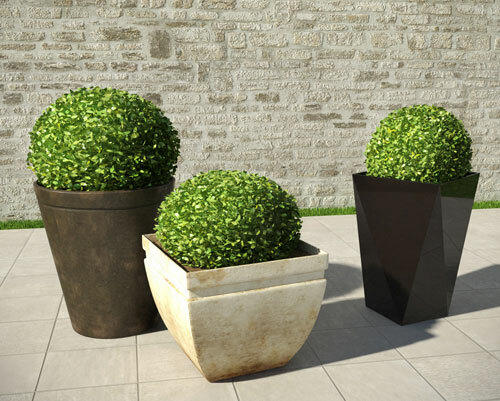 Though slow growing shrubs naturally last longest in containers, almost any shrub can tolerate garden containers in general for many years. 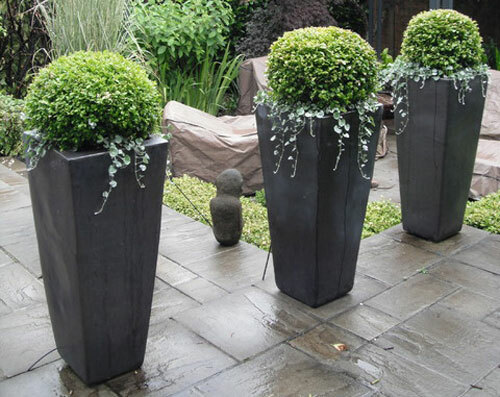 Start out with a container that's a few inches larger all around than the pot that carried the shrub home from the nursery. You can plant shrubs at almost any time of year, though it's best to plant in Spring in cold weather areas. Many plants are happiest in standard potting mix but a few can handle a heavier mix. In general potted shrubs need a monthly application of fertilizer throughout their growing season. 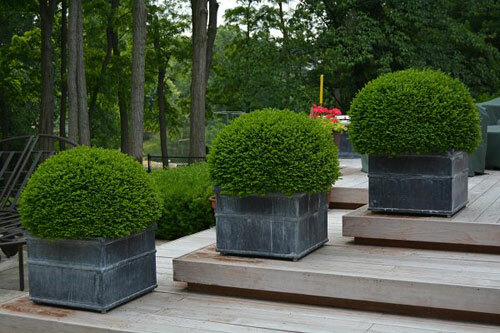 Select containers that you love that add color, texture and design to the area you will place them in. Watch the root system on the shrubs to make sure that when it comes to time to repot that you are on top of it and the root ball doesn't become to bound up. Great shrubs to use are boxwood, camellia, winter daphne, silverberry, Japanese aralia, fuchsia, gardenia, hydrangea, holly, juniper, oleander and oregon grape. Check these out and find the one that best meets your needs. Good luck. Read more.....To cold for containers? NEVER! Read more.....Make plans now for next season.